This bracelet is regal. 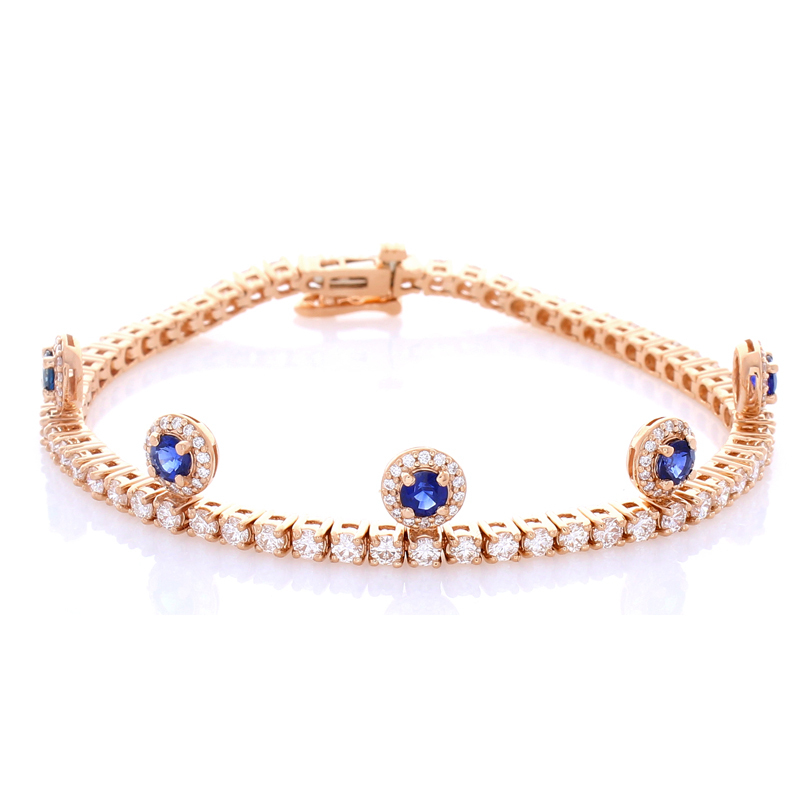 5 dangle drops featuring round cut royal blue sapphires adorn this stunning bracelet totaling 1.40 carats. The color play is design forward. 131 glittering round brilliant cut diamonds surround each sapphire in a halo cluster and are also prong set on this wondrous eternity tennis bracelet totaling 4.36 carats. Created in brightly polished 18 K rose gold, the hidden slide clasp secures this gorgeous bracelet, finished with a safety latch for your convenience.